The International Conference on Neurology & Epidemiology (ICNE) 2013 will be held in outside of Europe for the first time in Abu Dhabi. The UAE capital beat off competition from Paris, Milan, Macau and Boston to win the bid. Between 600 and 800 of the most eminent medical practitioners in these specialised fields are expected to attend the congress. "This is very good news and the result of joint efforts between our own Business Tourism department, the Emirates Neurology Society and the Health Authority-Abu Dhabi," said His Excellency Mubarak Al Muhairi, Director General, Abu Dhabi Tourism & Culture Authority (TCA Abu Dhabi). "The ground-breaking ICNE series are a unique platform for the coming together of scientists and experts in all major fields of experimental and non-experimental neuroepidemiology. Given that the congress will feature internationally recognised invited speakers, platform lectures, oral presentations and poster sessions, it will be an authoritative platform for continuing education which will benefit all professionals in these fields." 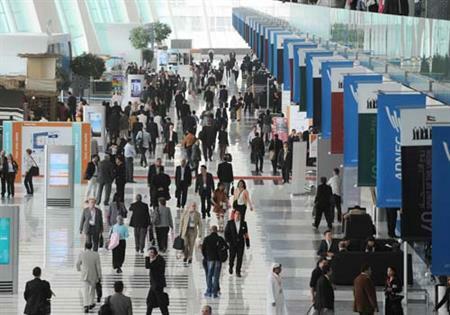 Abu Dhabi’s meeting industry credentials took a major leap forward this year when it hosted the World Ophthalmology Congress at Abu Dhabi National Exhibition Centre (ADNEC). The congress attracted upwards of 10,000 delegates and was the largest convention ever staged in the destination to date. TCA Abu Dhabi, together with various stakeholders, continues to actively pursue congress and association business to build on the number of key wins the destination has under its belt. This September/October, ADNEC will host the 18th World Routes Development Forum which is expected to attract over 3,000 leading aviation executives and in April next year, Abu Dhabi will also host the 13th World Travel & Tourism Council’s Global Summit with some 1,000 tourism leaders due in the UAE capital while November will see it host the 2012 UFI Congress- the international meeting for the global association of the exhibition industry. Other major convention wins include: In 2015, the 16th World Conference on Tobacco or Health (WCTOH) – a triennial gathering of international advocacy, public policy and health research experts working together to achieve the goals of the world’s first public health treaty, the World Health Organisation’s Framework Convention on Tobacco Control (WHO-FCTC). The WCTOH - the result of a collaborative effort by Emirates Cardiac Society, the Health Authority – Abu Dhabi (HAAD), and Abu Dhabi Tourism & Culture Authority- will mark its Middle East debut at ADNEC in March 2015, when the five-day conference will convene 3,000 specialists from governmental and non-governmental organisations collaborating on medical, public health, and public policy agendas related to global tobacco control. Also in 2015 Abu Dhabi will host the Asia Pacific Cardiology Congress while the same year The World Association of Zoos & Aquariums will hold its annual convention at the Al Ain Wildlife Park & Resort and TCA Abu Dhabi continues to bid for other major association conventions. TCA Abu Dhabi is stimulating the meetings business through its Advantage Abu Dhabi incentive programme through which organisers can apply for support for new and existing meetings business which is aligned to the emirate’s Abu Dhabi 2030 plan. The authority has set keen targets for its Meetings Incentive Conventions and Exhibitions business for the coming eight years. By 2015 it hopes to see the emirate viewed as the region's leading meetings destination and ranked among the world's Top 100 meeting destinations with a four-fold increase in the number of MICE events currently held and double the number of MICE visitor arrivals and yield. Five years later it anticipates the emirate being viewed as a leading regional meetings destination with 10 times the number of MICE events as now with the number of MICE visitors and yield quadrupling. ICNE 2012 will take place in Nice in November.